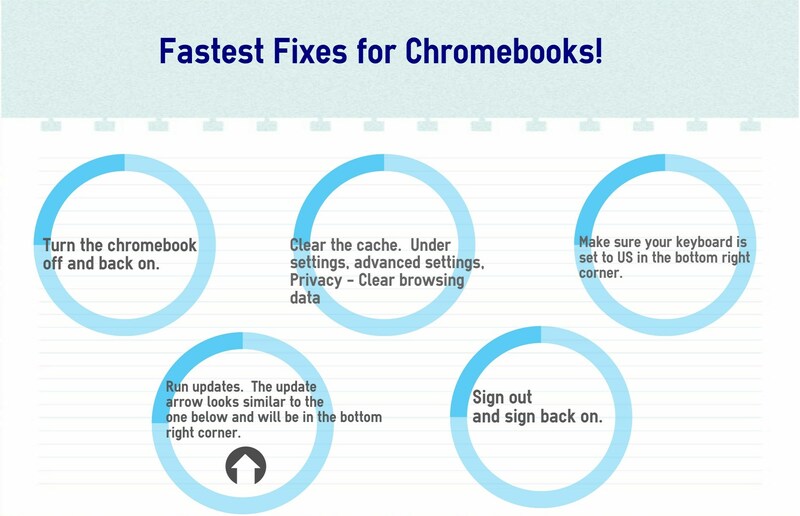 Is your chromebook not working the way it should? We're here to help. First try the easy fixes below. If that doesn't work, use the following form so a member of the media/technology staff can help you.